The Center for Disease Control and Prevention Division of Viral Hepatitis posts valuable viral hepatitis information. Following is its post commemorating World Hepatitis Day. Visit the CDC’s viral hepatitis webpage for more viral hepatitis information. Know Hepatitis. Act Now. For World Hepatitis Day, learn more about the different types of viral hepatitis that impact millions worldwide, and what you can do. Viral hepatitis – a group of infectious diseases known as hepatitis A, B, C, D, and E- affects almost 400 million people worldwide, causing both acute (short-term) and chronic (long-term) liver disease and killing more than 1.4 million people every year. In 2013, viral hepatitis was the seventh leading cause of death worldwide, compared with the tenth in 1990, and caused more deaths than AIDS, tuberculosis, and even road injuries. World Hepatitis Day is July 28th and is an opportunity to highlight the global burden of this disease, CDC’s efforts to combat viral hepatitis around the world, and what actions individuals can take. What is CDC doing to help combat hepatitis globally? CDC has been re-designated as a Pan American Health Organization/World Health Organization (PAHO/WHO) Collaborating Center for Reference and Research on Viral Hepatitis. These WHO Collaborating Centers work to implement WHO’s Global Hepatitis Strategy priority activities, serving as a reference laboratory, and providing technical assistance for the development of viral hepatitis guidelines and policies. CDC also assists countries experiencing a high burden of viral hepatitis. In recent years, these countries have included China, Egypt, Georgia, India, Pakistan, and Vietnam. Our international work is helping to reduce the disease burden for travelers and people migrating to the United States, while identifying best practices that may serve as models for other countries, including the United States. What are the different types of hepatitis viruses occurring around the world? The five hepatitis viruses – A, B, C, D and E – are distinct; they can have different modes of transmission, affect different populations, and result in different health outcomes. While hepatitis B and hepatitis C cause the greatest global burden of disease, hepatitis A, hepatitis D, and hepatitis E are also global health concerns. Hepatitis A is primarily spread when someone who has never been infected with hepatitis A and is not vaccinated, ingests food or water that is contaminated with the feces of an infected person or has direct contact with someone who is infected. Hepatitis A does not cause chronic liver disease and is rarely fatal, but it can cause serious symptoms. Hepatitis A can be prevented through improved sanitation, food safety, and vaccination. Hepatitis B is spread through contact with blood or other body fluids of an infected person, including at birth from a mother to her baby and through sexual contact. The hepatitis B virus can cause both acute and chronic infection, ranging in severity from a mild illness lasting a few weeks to a serious, chronic illness. People who are chronically infected can develop liver cirrhosis or even liver cancer. Hepatitis B is most common in sub-Saharan Africa and east Asia, where between 5–10% of the adult population is chronically infected. Rates of chronic hepatitis B are also high in the Amazon region of South America, the southern parts of eastern and central Europe, the Middle East and the Indian subcontinent. Many people with chronic hepatitis B were infected at birth or during early childhood. Getting the hepatitis B vaccine is the most effective way to prevent hepatitis B virus infection. WHO recommends that all infants receive the hepatitis B vaccine as soon as possible after birth. In many parts of the world, widespread infant vaccination programs have led to dramatic declines of new hepatitis B cases. Hepatitis C is spread through contact with blood of an infected person. Hepatitis C is common in many countries in the world; in much of Asia and Africa, most infections are caused by unsafe medical injections and other medical procedures. 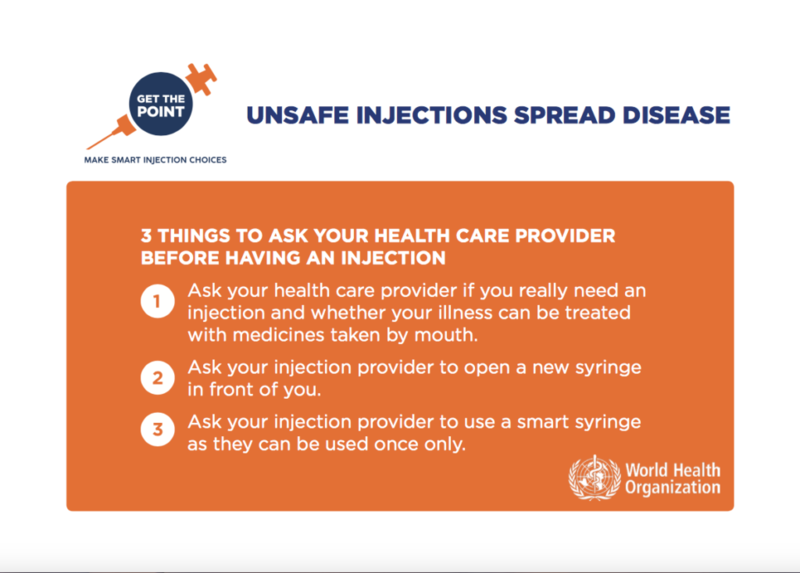 Hepatitis C related to injecting drug use occurs throughout the world; an estimated 67% of people who inject drugs having been infected with the hepatitis C virus. Mother-to-child transmission of hepatitis C is also possible. Hepatitis C, like hepatitis B, can also cause both acute and chronic infections, but most people who get infected develop a chronic infection. A significant number of those who are chronically infected will develop liver cirrhosis or liver cancer. 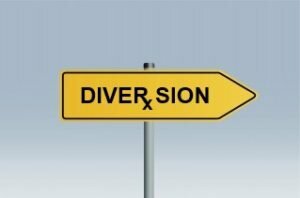 Antiviral medicines can cure approximately 90% of people with hepatitis C, thereby reducing the risk of death from liver cancer and cirrhosis, but access to diagnosis and treatment is low. There is currently no vaccine for hepatitis C but research in this area is ongoing. Hepatitis D is passed through contact with infected blood. It only occurs in people who are already infected with the hepatitis B virus. People who are not already infected with hepatitis B can prevent hepatitis D by getting vaccinated against hepatitis B. Do you need to be vaccinated and/or tested for hepatitis? CDC and DVH are continuing to lay the foundation for the elimination of viral hepatitis as a public health threat, both domestically and abroad. Hepatitis A, hepatitis B, and hepatitis C are the most common types of viral hepatitis in the United States. To see if you need to be tested and/or vaccinated for hepatitis A, B, or C, take CDC’s online Hepatitis Risk Assessment, which is based on U.S. recommendations. As we commemorate World Hepatitis Day, we remember that unsafe infections transmit infections. We are grateful to the World Health Organization for its efforts in preventing viral hepatitis globally. Many cases of viral hepatitis are transmitted by unsafe injections. 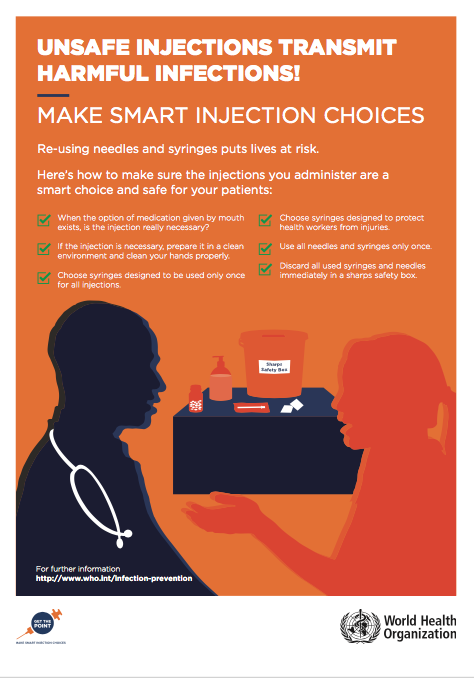 Following is a poster to guide healthcare providers in administering safe injections. World Hepatitis Day is later this week, but it is not too early to prepare! This week we will be sharing information about these deadly diseases and how to prevent them. 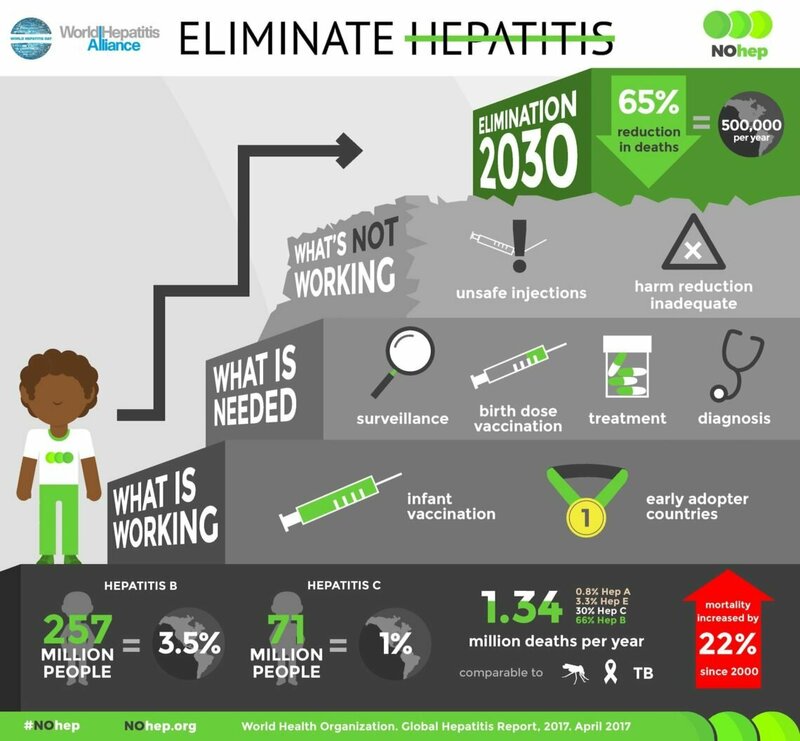 Today we are sharing an infographic prepared by the World Hepatitis Alliance on the number of cases, causes and cures of Hepatitis B and C. Did you know that the mortality rate has increased by 22% since 2000? Please take a look at the infographic and share with your networks. Watch for more information this week. But most importantly, do what you can to eliminate hepatitis!